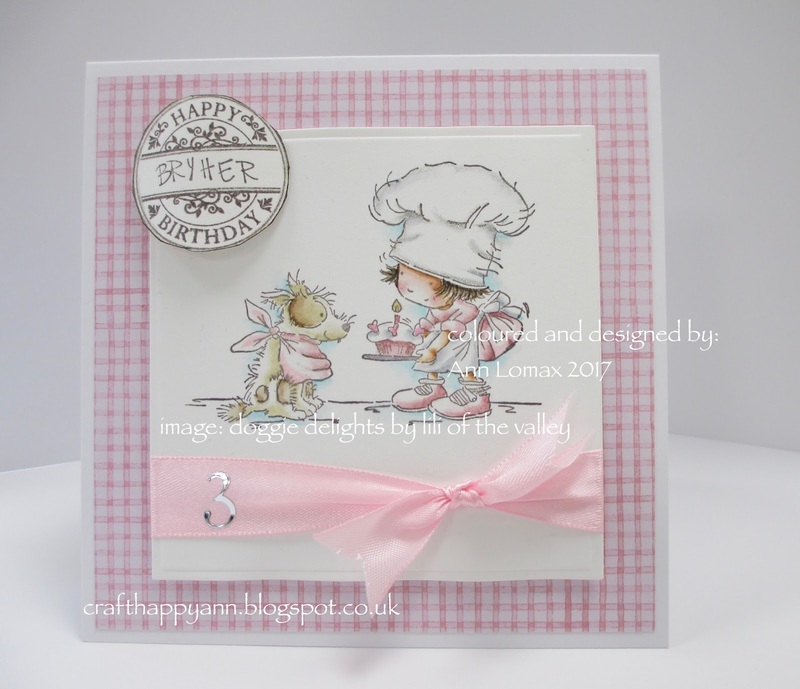 a clean and simple card to celebrate the second doggie who celebrates her 3rd birthday. this card is a variation on my previous card. I have used all the same stamps as before but doesn't it look so different. this little cutie is called: doggie delights and sadly is retired as a rubber stamp. better get cracking with some more crafty makes. 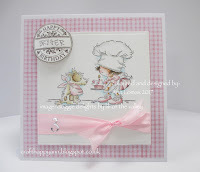 This card is just darling! I love your coloring! 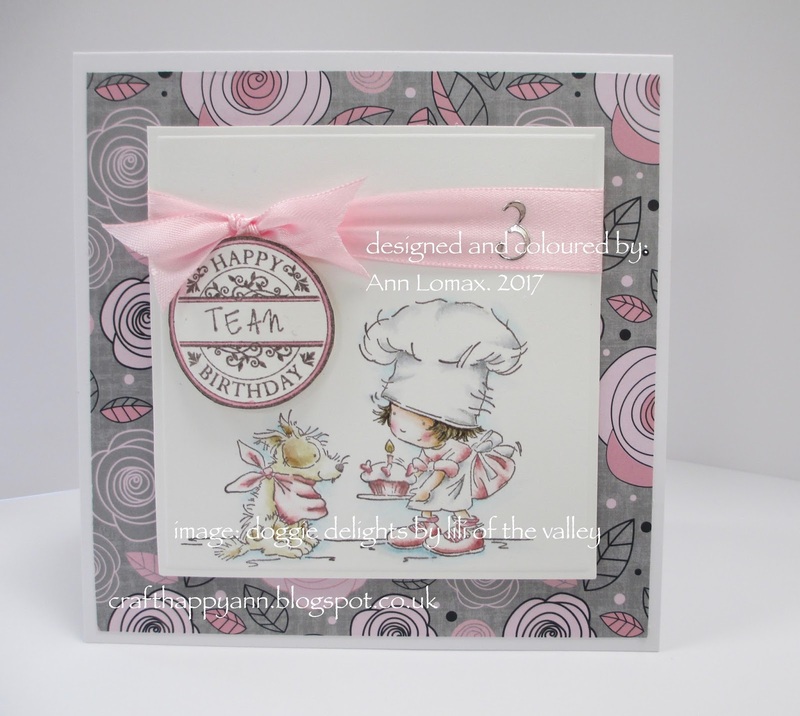 Gorgeous cards Ann, I love the soft colouring. The grey paper really lifts the image on this one. Great idea to add the name in the centre of the sentiment. Wow Ann, this is adorable. I love the soft, gentle look of the card and you'd think that background paper would detract from the image because it's kind of busy, however, it does just the opposite. I like how it compliments your colouring and what might seem like a busy piece of paper at first glance is really quite soft and quiet because of the colours. I love the card!